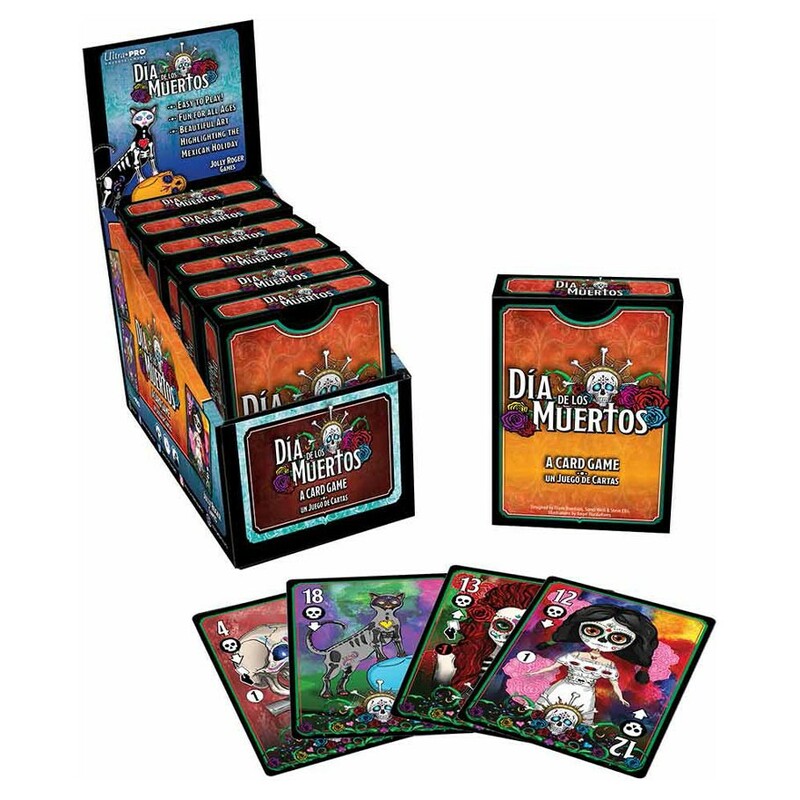 A trick-taking game for 3-6 players which lasts 10-15 minutes. Beautiful, illustrated original art pieces that are visually stunning and reflect the Mexican Holiday - Dia Los Muertos. Non-linguistic, numeric & symbol based with rules in English & Spanish!